The JVC KD-R442 features a classy design which will look at home in any dashboard. This highly featured RDS Receiver and CD player will reproduce music from many sources. 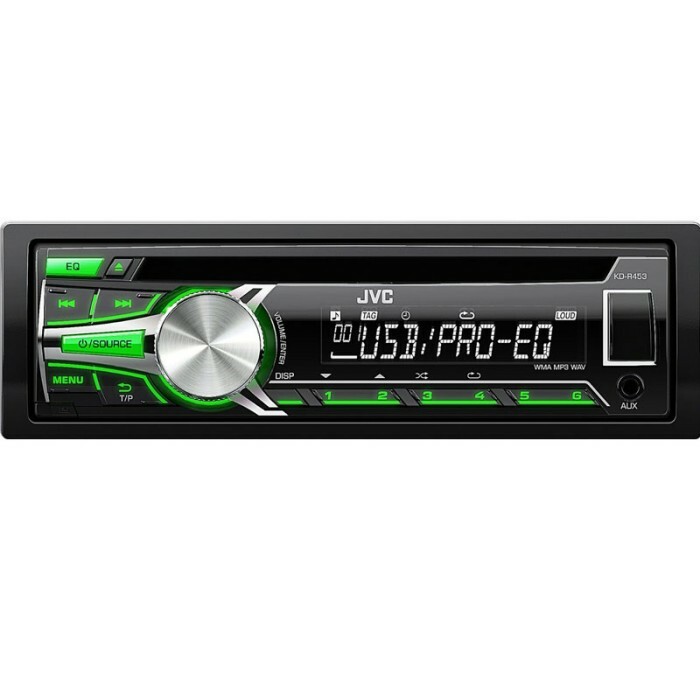 The JVC KD-R442 also includes enhanced Android Smartphone capability. 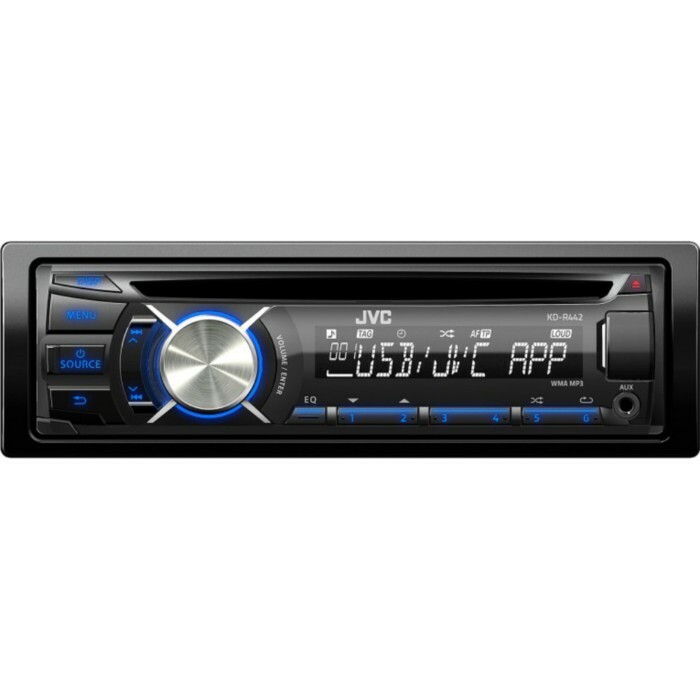 By connecting the JVC car audio receiver via USB to an Android smartphone via a free JVC app, it allows you to list and search all of the songs stored inside the smartphone from the receiver by artist name or by album name. You can also command basic stereo controls such as pause, skip or repeat simply by finger gesture operations on the screen of the smartphone. * Requires the optional KS-BTA100 adapter. Available functions depend on mobile phone.